Delayed flight but not disheartened...got travel insurance! Its Aloha Friday gang! 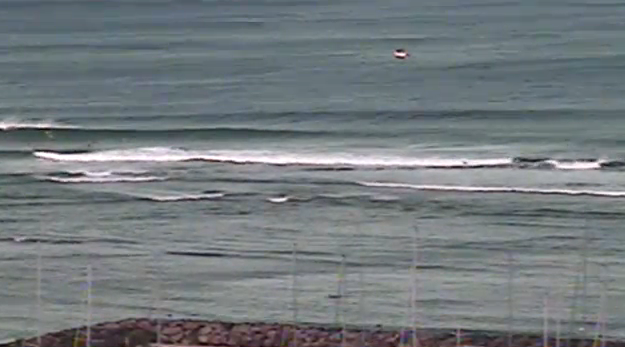 We still got south swell waves rolling in with south east winds forecasted so best conditions in the morning. I kind of like the onshore waves which reminds me of my eastside home breaks, lots of windy days surfed with man-o-war all over the place like paddling through a land mine. Those were the dayz! 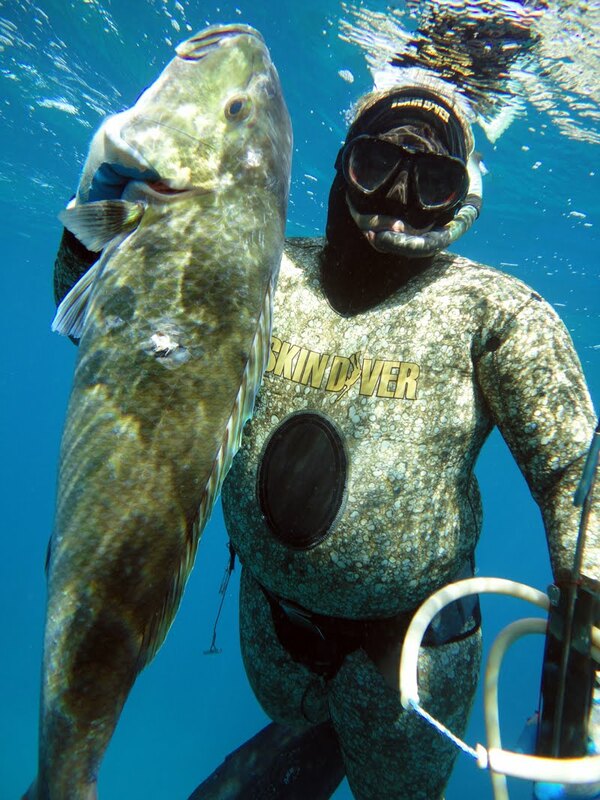 People often ask me where is the best place to dive or surf? I tell them depends on what you are targeting and what your expectation are. 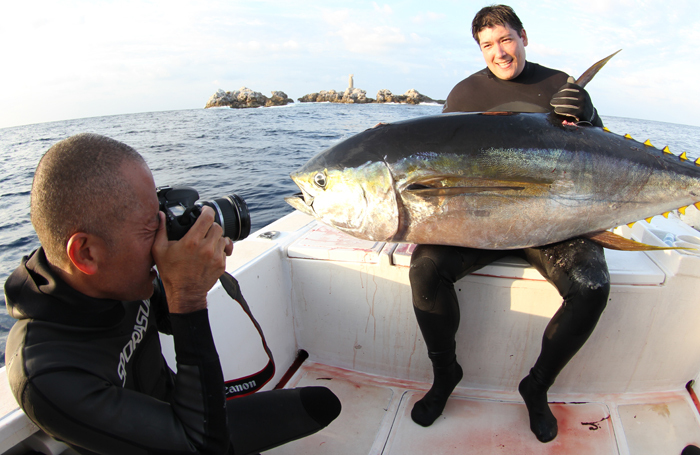 Jonathan Muratsuka called me and said he wanted to spear a tuna so we planned the trip and his dream came true! We had a awesome time living in luxurious accommodations and pampered to our hearts content with concierge services, fine restaurants to choose from, our own swimming pool and the opportunities to spear world record fish. Jonathan is 6 ft 2 inches tall so you can only imagine the weight of this beast. Well we got it all on film so watch our next HSDTV episode premiering May 1st, 8:30pm on OC16 or online at www.oc16.tv. Enjoy! Ideta special broke da mouth! I ate so much that I cannot move. Thank God it's Monday! Some say TGIF, I say TGIM! Mondays are less crowded in the lineup and I like that. 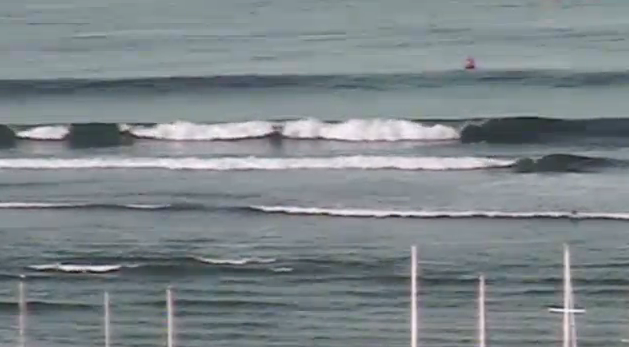 Today looks like more summer swells around 1-3 ft and dropping winter swell 2-3 ft up north so lots to choose from. Been super busy week again with perfect weather in Hawaii. Red Sea boat made it home so now its time to start phase 2 of 3 of the work, which is to power it up. Have a good week everyone! Wow what would it be like to have a fleet of red sea boat charters? I could take all my family and friends to go fish, surf, dive, cruise all over the world. Well I'm a firm believer in dreaming BIG, and God willing who knows what can happen tomorrow. For now I am super stoked to have one of these boats. Can you guess which one? Dinner @seaside, man all I'm doing is eating! Love it. 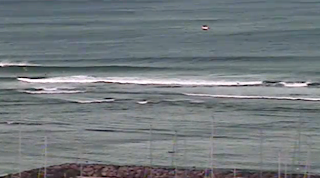 Honoli'i shoulder high onshore winds with chocolate brown water inside and dark olive green water outside. No thank you...mo Betta work! My Aunty Liz came by today to give us a hand with carpeting the bullhorn. Took a whole day for my dad to finish. Still lots more to work on...to be continued. Back to work. Another full spread for dinner! Wow I think I am gaining weight here in hilo. After a hard day at work this hit the spot. Tomorrow is Easter Sunday so everyone have a happy Easter. My aunty Jane is an awesome cook! She made us some Ono beef stew, ahi collars, and fresh sashimi for dinner that "broke da mouth". I'm so lucky to have family in Hilo who are so hospitable, kind, and generous. Thanks aunty Jane! Red Sea Boat continues as my dad, uncle, and me work tirelessly 10 hours a day to meet our deadline. We got fiberglass all over but it will all worth it soon with fresh fish on the table. Tomorrow is another long day so gotta hit the hay... Zzzz good night! Big island dogs grow big! Tonight 8:30 pm premiers a new HSDTV episode. Tune in to OC16 as Dell Agricula and Jason Baligad entertain you with their diving skills from the remote islands of Niihau and Kaula Rock. You need to be quick and witty as you watch these two guys go at it. You will be on the edge of your seat if you don't fall down cracking up with these two funny guys. Enjoy it all month on OC16 or online for those not in Hawaii. Today we got our first visit to Hawaii's Aulani Resort. I've been to the Disney Grand Hotel and the architecture had a similar feel. Nice entry, pools, service, but I couldn't find Mickey Mouse, Mini Mouse, Daffy Duck anywhere. I looked high and low but there must have been on lunch break. So we checked out one of the ballrooms and seen this couple cutting up the rug. Didn't see any cameras rolling but these two stars were doing the walzt very well. Then I recognized them as my good friend Todd Nishimoto and his new wife Corrine on the floor. Judges unanimously gave them 10's in standing ovation. Yup congratulations to you both on your wedding day! Remember what your uncle told you about never forgetting the 3 most important days of your life. 3. Your wedding anniversary day.